Campaign Creation. | The DMs Blog. The Art of Story Telling. Part 1. As a Dungeon Master you will wear several hats. You are the referee, adjudicator, administrator and creator, as well as playing the part of a host of Non Player Characters and monsters. One of the most important however is that of the storyteller. In fact some Role Playing Games even refer to the Games Master position as the storyteller! Being a great story teller has little to do with knowing the rules of the game . It is about understanding how to create and deliver content to your players and bringing your world and each scene to life. In this multi part series we will look at ways to improve your ability to deliver content, and make you a better story teller. If you have played more than a few games of Dungeons & Dragons with several different groups, then undoubtedly at some point you will have played with that dry monotone Dungeon Master. He may be well versed in the rules of the game, but reads everything as if from a script, and has little inflection in his voice. He may have been a bit stuffy and academic in his approach and as such it is a stretch for you to imagine the world around you. On the other hand you may have also been lucky enough to have played with a vibrant and enthusiastic Dungeon Master, who delivers great descriptive content and knows how to provoke, and spur on your imagination. Some players like a mechanical academic game and may be fine with the first option, but most, especially those that truly love the game and want to throw themselves wholeheartedly into their characters probably will not. As a Dungeon Master the way you deliver your content is just as important as the content itself. In some cases it is more important. Years ago I helped a guy out that I met in a gaming store. We shall call him “Dave”. He had been a Dungeon Master for three years but he was frustrated. He had a hard time with experienced players staying in his groups, and felt like he had hit a wall in his skill set. He was thinking of abandoning trying to run games and just go back to playing. We had a good chat about his experiences, and he asked me if I would run a session for his group. He wanted me to show him everything I did prior to the game, and sit over my shoulder as I ran it. A few days later I sat down with him several hours before our planned game session. I showed him my prep work. I went over the adventure I was going to run, and each encounter. I also reviewed each character sheet and explained how I saw each character fitting into the story. He was in shock. “Wow, I had no idea you did so much work before hand” was his comment. Well lets fast forward to the game session itself. So he had six players. Each arrived and came into his home, and he greeted them and introduced me. Soon they all were sitting around the table in their favorite ritualistic spots and we got underway. Four and a half hours later we finished the sessions and all the players and their Dungeon Master were smiling and bouncing of the walls. “No offense to you Dave, but that was the best game of Dungeons and Dragons I have ever played” was one comment. Dave was not offended, he was instead full of energy and enthusiasm. 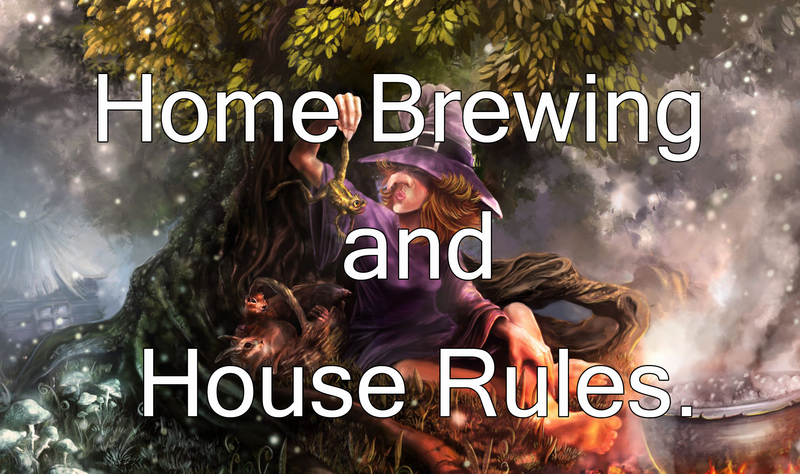 After the players left I sat down with Dave and we went over the differences between our Dungeon Mastering styles. We went over the key differences and discussed how he would implement change in his game. Much of what he was doing wrong was correctable. Speaking in first person and not third person. Referring to his players by their character names and not the players names. Giving more thought provoking descriptions and describing combat other than simply saying “You hit, you miss” etc. We also drew comparisons in our personalities, and there were not many. Bottom line was we were very different people and he was not probably going to be comfortable with standing up, hurling his arms around and voice acting bar wenches. So we ironed out his strengths and worked with those. In the end however despite the personality differences, we were able to make him a better story teller, which was where he was really falling down. I continued to bump into Dave and some of his players for a couple of years afterwards, and their game sessions had vastly improved. Anyone can learn to be a better storyteller but you have to realize who YOU are as a person, and be able to figure out the best way for you to tell a story with your personality. 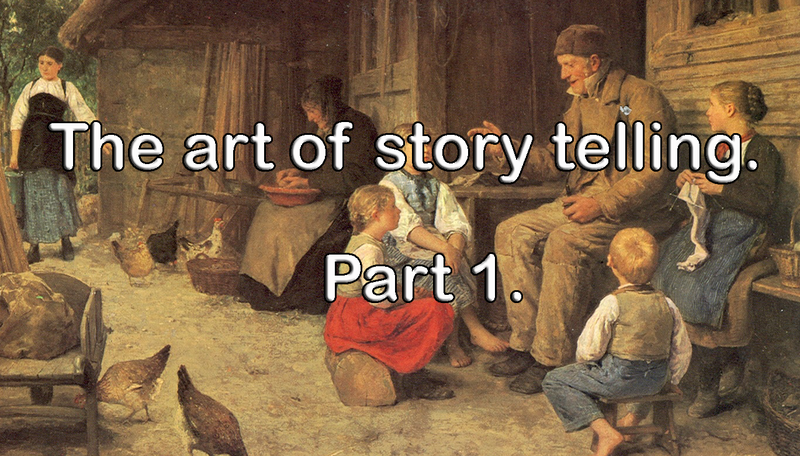 When it comes to story telling there are several key aspects. Many of which can be implemented by each and every Dungeon Master, and a few that you either will be able to do well or should not do at all! Some times it is better to omit a certain aspect than do it poorly. Know yourself and be honest with yourself. If you do not have the skill set for somethings, be honest enough to admit it and avoid it. We shall now go over the most important ones. Prepare your story. This is not the same thing as preparing your game session or your adventure. Story preparation is more about mentally visualizing the story unfolding ahead of time. Try to run it through your mind and imagine each character and Non Player Character. Think through and visualize each encounter. By doing this you will see it. Seeing it will help you become better at giving descriptions. You will notice the things that “pop” in your mind, and can use those to enhance your delivery when you describe the scene to your players. If you do not have a creative imagination and are unable to do this, well I am sorry to say you should not be a Dungeon Master. One thing a good Dungeon Master has to have is a vivid imagination. Being able to describe the scene to your players in such away as to spark their imagination and create a mental picture is important. How you do this requires an understanding of how people think. You need to know how to deliver your description in such a way that they will listen to the details and visualize them. One fault many Dungeon Masters make is reading a detailed description to their players like reading from a book. DON’T! Its boring and sounds rehearsed. It is far better to describe the scene free form so that you can use your voice to inflect tension and atmosphere. Its OK to make yourself notes, but do not read them like a page from a book. Also learn to use your voice. Change the tone and pitch when describing something foreboding, be enthusiastic when describing something that should be wonderful etc. Now here is something that I learned from my vast years of experience and I am going to share with you to hopefully really help you improve your ability to create a visual picture for your players. Do not rob your players of their own ability to imagine! As Dungeon Masters we often feel it is our job to describe the scene. We take pride in going into great detail and telling our players what they see. This can be counter productive. You can go to far. It is better to give enough detail as to spur the imagination but do not try to control what the player imagines. No two people will imagine the exact same thing the same way, and this is OK. As a Dungeon Master saying a simple phrase like “Imagine an abandoned spooky three story mansion” is more powerful than going into para-graphic depth with a description about each broken shutter and spooky looking tree in the courtyard. Allowing your players to imagine things is a great way to allow them deeper immersion, as their minds will create what they can imagine to be believable. I often start with a simple teaser like that. I am going to give you a couple of examples and then discuss them. “You emerge from the edge of the pine forest and into the clearing. The bright sun hits your face and assaults your eyes as you step into the open. It feels far warmer, and several degrees hotter in the clearing than it did while you were protected by the forest canopy. You squint your eyes as they become accustomed to the light and hold your hand to your forehead, to keep the bright sun from obscuring your vision. As you look ahead you see what looks like a ruined building. It is half sunken into the ground, and covered in vines and creepers. The walls are mossy and in ill repair, one area of the left wall has stones missing, and much of the details of the architecture has been washed away by the elements over the centuries. As you move closer, and as your eyes continue to adjust to the light, you can see warn markings around the edge of the arched doorway. The marking look mysterious and possibly of an arcane nature. The door way itself sits at an angle as the left side of the building has sunken deep into the ground. You wonder what subterranean event has caused the foundation of the vast stone temple to sink in such away. You notice the lack of birds singing, and the general absence of natural sounds that you would expect to hear in a forest clearing of this kind. It is clear to you by the undisturbed plants that cover the ground around the clearing, that no one has entered the clearing in a long while. You feel apprehensive and wary as you contemplate what may lie inside the temple, or in the sunken depths of what lies bellow”. ” As you leave the forest and look into the clearing, you see a ruined temple ahead. It is bathed by the rays of the bright sun. Try to imagine a ruined temple covered in vines. It has sunken into the ground somewhat. The door way is visible beneath an arch that has markings around it”. The first example takes great lengths to describe the scene in detail. However, if you read this to your players as if it were a page in a book, Much of the detail will be missed and will slip through their minds, and as they try to imagine the scene exactly as you describe it they will struggle. As you read it I bet most of you reached the end and had already forgotten the fact that I had mentioned part of one of the walls had bricks missing which may be an alternate way in if explored. Thus an important clue may be overlooked. The second does just enough to provoke your players imaginations and their minds are allowed to conjured up the image. They will then ask questions to validate their mental picture, and you can then tell them about the arcane looking symbols over the arch and the missing stones in the left wall etc. It will then be more meaningful and and observed. Here are some points to raise about the two examples. They will know it is hot and bright it is, by the fact that you mentioned it was bathed in the suns rays in the second example, so it is not really necessary to describe it as we did in the first. You also do not need to tell them details about undisturbed plants, and by including it, you rob some players of chances to use skills such as tracking, and imply that they are all equally observant about those facts. You did not give them a chance to perform some actions prior to leaving the clearing in the first example and maybe the players did not WANT to approach the temple yet. The way you deliver the above two examples vocally, will help dictate how the mental pictures form in your players mind. The second example (if delivered correctly) is by far a better way, and not only allows for, but encourages your players to use their imaginations. It would be OK to maybe give a hint of more detail in the second example, but I find many times it is just not necessary. Of course, you have to be ready to fill in the blanks and answer the questions that the players throw at you. Learning how to deliver the content takes practice, and you will find you may have to tweak your delivery method several times before you find the right balance between given detail and provoked imagination. If you are worried that the players will not ask the right questions as to discover the important details such as the arcane marks or missing stones from the wall, this is where you utilize a little trick. If the players ask the right questions, then they get the right answers and feel accomplished in doing so. If not you take the opportune moment to bring it up yourself. For example. When a player says “OK I move slowly over towards the arch way”, you can then interject by saying “as you get closer your eyes are drawn to strange markings carved into the stone above the arch”. These skills can make a huge difference in your ability to set the right mood and will get a different reaction when delivered in this way than if you just explained them as part of the initial description. In the second part of this series we will talk about using your voice, and about being animated, as well as other aspects of story telling. World Building Guide. Part 4. One of the most important aspects of creating a believable world, is developing a rich and colorful history. It is not enough to create a world, city or village and just expect your players to buy into it. If you look at our own world, you can see parallels in some current things, based on patterns from the past. Cultures grow and change, Forests thrive or vanish and even land masses change. While you may not have to go so in depth as to account for inches lost along the regional coast lines, it is important to create a past for your world. So far in our series we have been developing a single region. The region contains a dozen or so settlements, a small mountain range to its north, a prominent forest and at least one river. The village of Newton and the town of Heraford (being part of this region) have witnessed many things over the years. So how did these settlements come to pass? what has happened in the region that has shaped the citizens way of life? Lets begin by once again making a few basic observations, and some notes. Firstly I need to decide on a time line. lets say the current year is 2360. This would mean that technically I have two thousand three hundred and sixty years of history to account for. That sounds like a daunting task, but in reality it is not. History is remembered by its significant moments, and not the day to day actions of the people or the regular daily involvements of nature. What we have to decide is the key moments in our worlds history, and in particular (for now) the ones that pertain to our region. At this point I do not need to create every event in our time line, I only need to think about anything monumental and big enough to have had a direct impact on the region we are developing. I do not want my region to be too new, but at the same time it is clearly not one of the oldest and most developed regions in the world. I am going to make a few notes to help me flesh out a time line at this point. I decide my region became settled in as part of a conquest. Six hundred years ago this region was populated by only a few tribes of humans and by many more goblins that it has dwelling in it today. I decide that the settlers came from the west, and as such my earliest settlements would have developed in that direction. The city that I placed in my region is in the west, so It makes viable sense that it began as a village six hundred years ago, and has grown up over time to become the city it is today. The settlers spread eastwards and it would probably take a few generations or so before they may have settled where Heraford is situated so maybe Heraford began as a village four hundred years ago. Newton is close to Heraford so maybe it was only one hundred years later when they began to settle on the banks of the river and create a village. This would put Newton being about three hundred years old as a village. Of course during this time they were also spreading North and Southward too. In making these notes I answer a few questions for myself, but raise new ones. For example why did the folk of Heraford branch out and create Newton? Well lets assume that as the original settlement village grew and expanded in the west, some pioneers wanted a chance to improve their lot in life so left and traveled east and settled in a new location. over time this happened again but each time they would not want to be too far from civilization, and the safety of being close to an established settlement. In this way Heraford was created. Discovering the river, and the forest, it was natural for the people to travel (almost a day) to gather, hunt and fish. However the forest being still very dangerous at that time would have dissuaded anyone from settling right next to it. Now over time as the goblins were driven north, and other unsavory creatures became less commonly seen, a few brave folk decided to set up an outpost at the edge of the forest and on the river to help facilitate gathering for Heraford. They would have had several skirmishes I am sure, and it would have been a tough start. Over time it would have became easier, and more and more people would end up staying at the outpost. This is how Newton started out and today it is a thriving village. You see how this thought process works. If you examine your region and look at the land features, you will see reasons for why settlements should or should not exist. Also about now you may be looking back at some of the original decisions you made with placing settlements or land features and may wish to rethinks a few things. You may also rethink some of the relationships between towns. For example. It would seem sensible to me now that as Newton grew from an outpost that belonged to Heraford, it is logical that the small council in Newton answers to the Council in Heraford. I should also probably increase the number of families that have members in both locations too. So far we have some local timelines started but we need more. We decided that the region developed and became civilized after a conquest. This would be a major Historical event so we need to flesh that out a little. Six hundred years ago clearly we had a conflict. Who (if anyone) ruled this region then? Who conquered it? Well as we already decided until then, this region was home to only a few human tribes, and many goblins, it would seem logical that the goblins were probably the closest thing to rulers that the region possessed. So it would become clear that the conflict was between some humans from the west, and the goblins. I am going to decide that this region was home to six different goblin tribes, and the largest of which had a king named Rablegash the mighty. The region to the west is large and a domain for human kind. It is (at that time) going to be ruled by Horace Vamillion the third. So six hundred years ago we can say that King Horace came into conflict with the goblin tribes and undoubtedly King Rablegash. Why did this happen would be my next question? I decide that the goblin tribes were growing, and tribal in fighting over territory was becoming more frequent. This lead to the tribes expanding their domains and some of them began to encroach on King Horace’s lands. Initially they were small skirmishes and raids but it soon became to frequent for King Horace to ignore. At this point, King Horace decided that defending his borders was becoming to time consuming and problematic so he decreed that he would route out the goblin menace and crush it at the source. He marched his army into the goblin lands and over a three year campaign he crushed the majority of the goblin menace and saw King Rablegash slain at the battle of Rocky creek. The remaining goblins fled North or hid in the mountains. Right their my little story creates the basis the basis for a historical event. It also means I need to add a special feature (Rocky Creek) to my region and ensure that most in the region know its significance. I will continue to come up with interesting historical events in this way to cover the last six hundred years. Maybe one hundred years ago there was a small goblin uprising as some of the goblins left the mountain and had to be vanquished? Maybe this occurred because deep in the mountains the goblins are running out of room? Maybe that deep cavern I added back in part 3 leads to an underground goblin kingdom? I also need to go back further in history. While the last six hundred years will be of most significance to our region, the world was shaped by events and deeds way before that. I should consider developing King Horace’s lineage as part of this too, and there are always notable events in the history of a royal family. I could go on giving examples here, but you get the idea of how to develop a time line by now. If you keep coming up with ideas, writing them down in note form and then answering any logical questions that these notes raise, you will have a good basic chronological time line which you can continue to develop over time. I always like to leave a few decent gaps between some events, to allow myself the freedom to add historical events later. Some times (during game play) I see an opportunity for a great adventure hook that would benefit from a certain historically significant event, so I enjoy having the freedom to create it and fit it into my time line. 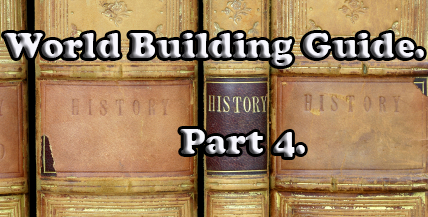 You can see how developing a history lends towards helping develop the current world. These historical events bring the world to life with a much needed sense of depth. The players of this world can draw from this historical knowledge. They may decide to go into the caverns to investigate and see if there is indeed a pending goblin threat, or they may be hired to do so. They may decided to scour Rocky Creek for lost items or may discover that some of the fallen warriors from the battle six hundred years ago have been seen wandering at night. Simple historical additions create opportunities for adventure hooks that can be employed by both players and Dungeon masters alike. In an organic free flowing game or (unstructured game) where the players decide more freely what they wish to do, and adventures are not given to them so linearly by the Dungeon Master, this kind of world development becomes essential. You can not progress successfully to this kind of advanced game play without a well developed world! 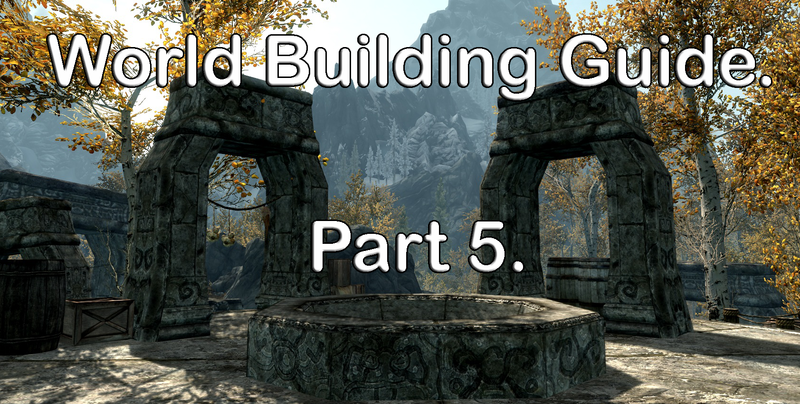 In the next part of this series we will look at fleshing out the details of your regions special features…….